PCOS prevents the normal release of egg cells due to multiple cysts on the ovaries, leading to infertility. PCOS, polycystic ovary syndrome, is one of the most common causes of infertility among women and can also cause serious health problems. According to the Office of Women’s Health, polycystic ovary syndrome- also known as PCOS -affects one in 10 women of childbearing age. But a genetic breakthrough is being used to help identify risks associated with the syndrome. 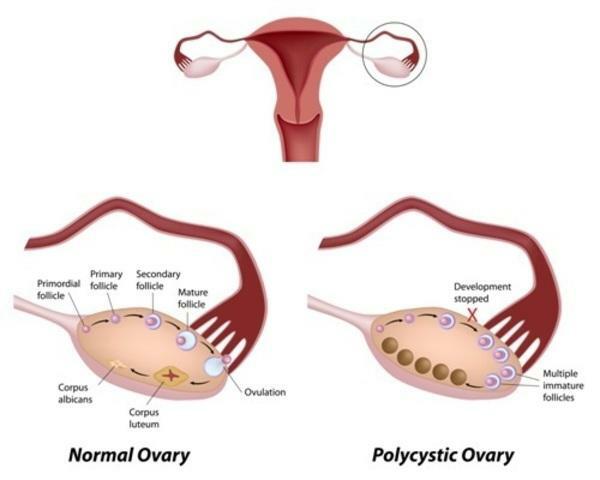 "Polycystic ovary syndrome is a disorder in women in which the body makes too much antigen hormone, and the menstrual cycles are irregular, and women have a particular ovarian pattern where their eggs are stuck in their development and they don’t ovulate regularly," said Corrine Welt, a professor of internal medicine at the University of Utah. "We have been looking a long time to figure out what the underlying cause of PCOS is." Welt and her collaborators across the globe pooled their patient data to try to find a genetic source of PCOS. "And we came up with 15 genetic risk areas in the genome that seem to predispose to polycystic ovary syndrome," she said. According to Welt, these particular genetic pieces are in diverse areas of the genome; some control reproduction, some regulate antigen hormones, and others- well, researchers don’t exactly know their specific role yet. "We found a whole bunch of areas where there’s risk for PCOS and women with PCOS have these risk areas," Welt said. "Sometimes control women who have no disease will have the same risk variants, so it is not just the genetic risk, there is probably also on top of it environmental factors that might play a role or you might need to have a whole bunch of the risk genes to get the disorder." This research discovering a genetic connection of PCOS is still a work in progress with many unanswered questions about what is a very complex syndrome. But Welt hopes this genetic connection will make diagnosis easier for patients across the diverse symptom spectrum.